It was a fantastic day. 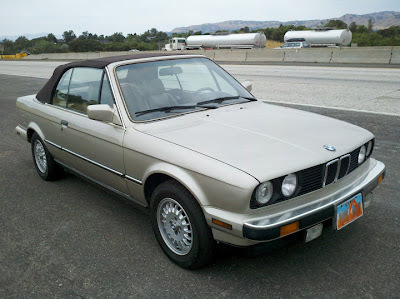 I had the opportunity to drive an E30 325i convertible for the day so I immediately set off for the mountains. The car is absolutely brilliant, if a little down on power which wasn't a surprised given its age. 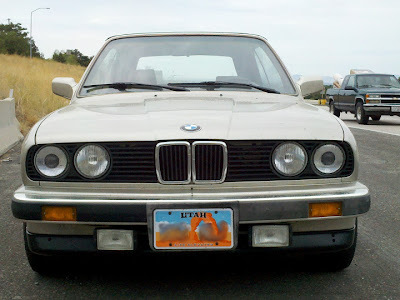 It's fun to drive, fairly comfortable even at my 6'7" of height and I absolutely love it. I think it's an absolutely fantastic looking car too. Classic BMW nose and lines. It was definitely going to be a good day. I motored on through the city towards the mountains looming in the distance until the best part of the drive happened. Well, how else should a day of classic motoring end? I couldn't think of a more fitting, enjoyably and frankly amusing way for the day to end; sitting on the side of the road, engine dead. 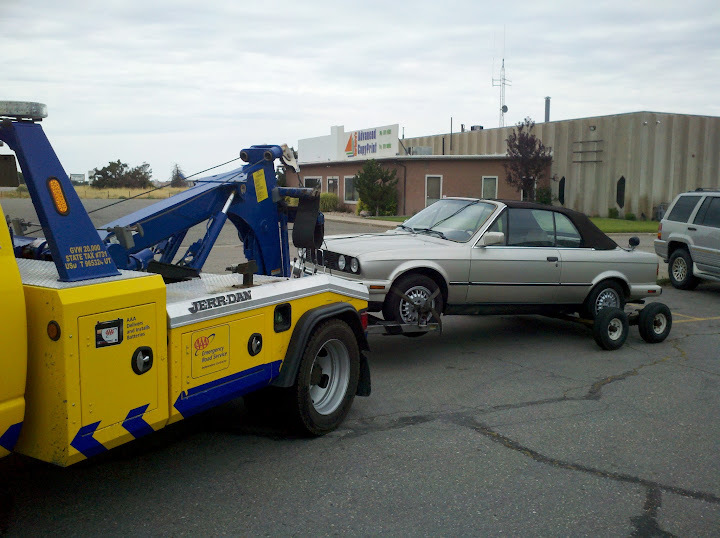 The fuel pump gave out while I was heading up into the hills and I had to have it towed back to the garage than maintains the vehicle for the owner. In a new car I'd have made it to my destination safe and sound with a reliable running vehicle, but really what would have been the fun in that? What could have been an easy day turned into an adventure and what more could I really have asked for? I was absolutely laughing as I called for the tow truck to pick me up. Perfect!